Stir the cream cheese in a stand mixer until smooth. Mix in the craisins, orange zest, orange juice, and powdered sugar. Place in the freezer to set for 10 minutes. In a bowl, combine all of the coating ingredients. 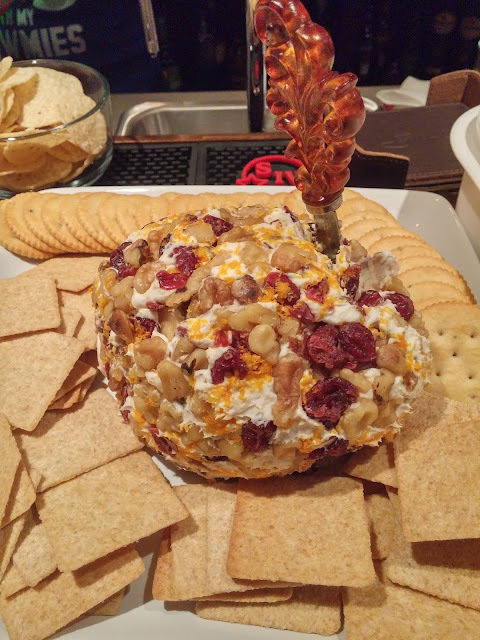 Remove the cheeseball from the mixing bowl and shape into a ball. Roll in the coating until the outside is fully coated. Wrap the cheeseball in plastic wrap and refrigerate until ready to serve.